Today at the IFA exhibition in Berlin, Slightly Mad Studios is proud to unveil 4K Gaming in partnership with Panasonic running on the world’s first 4K Ultra HD televisions. 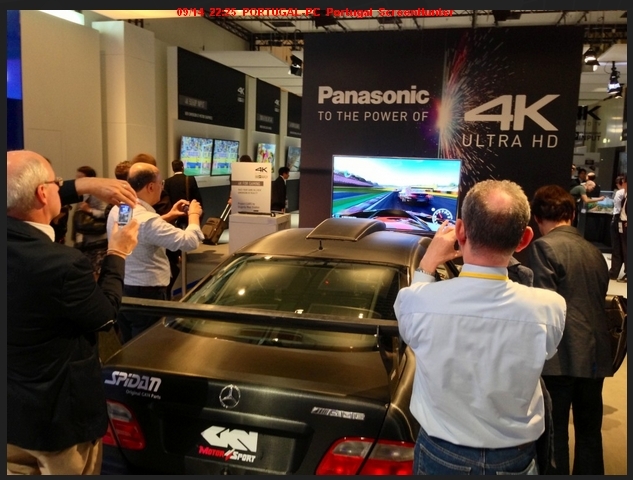 Attendants to the show can head along to the Panasonic booth to experience Project CARS running in silky-smooth 60+ fps at a cinematic 3840 x 2160 resolution. Step into a full-size Mercedes CLK AMG DTM car and take part in the Hot Lap competition to win a unique prize and experience a scale and clarity of image only possible through these unparalleled Smart Viera TVs. Through a pioneering collaboration between Slightly Mad Studios, Panasonic, and nVidia gamers will get to see the fidelity and attention to detail that Project CARS is synonymous with like never before. Powered by the nVidia GeForce GTX Titan and showcasing on the Smart Viera 4K Ultra HD TVs from Panasonic, Project CARS continues to define the cutting edge of next-generation gaming with an unprecedented level of immersion and definition for players that cannot be found anywhere else. 4K Gaming represents a continued partnership with nVidia having previously pioneered 3D gaming on the critically-acclaimed Need For Speed: SHIFT franchise, and the collaboration with Panasonic now allows the the raw power of Slightly Mad Studios’ MADNESS engine and of the GeForce Titan GTX card to be showcased in a form that gamers will never want to look back from once they’ve seen it in action.